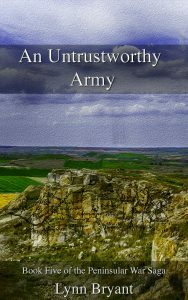 An Untrustworthy Army is book 5 in the Peninsular War Saga and is published on Kindle today. It covers a period of around seven months in 1812, during which Wellington led his army into Spain, achieved a spectacular victory at Salamanca and entered the Spanish capital of Madrid, which had been in French hands for four years. He then marched on to invest the fortress city of Burgos, but Burgos proved too much for Wellington’s army, and he was obliged to make a difficult retreat, with the French at his heels, back to the border. It was a miserable end to a triumphant year but it did not nullify Wellington’s achievements. He had given the Allied army an ascendency over the French which it had not had before, and the next campaigning season had a new purpose to it. For anybody new to the books, the Peninsular War Saga follows the fortunes of a fictional regiment of infantry through the long wars of the early nineteenth century and the man who rose to command it. Paul van Daan is 21 when we first meet him, the younger son of a wealthy shipping merchant, who purchases a commission in time to join the regiment on its way to India. 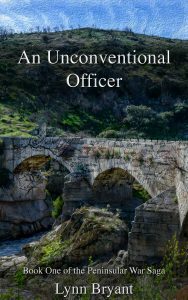 On paper, he is a fairly typical young officer, but Paul has an unusual past which sets him apart from many of his privileged contemporaries. He finds his home in the army, and discovers a talent for leadership which will bring him early success and which also brings him to the attention of General Arthur Wellesley. Writing a historical fiction series based around real events is an interesting challenge. On the one hand, there is no need to spend much time thinking up a plot line; I always know where my characters ought to be. On the other hand, it isn’t enough just to put them down on a battlefield and write about nothing else. These people had lives; they ate and drank, went to parties, fell in love, got sick, got wounded. Sometimes, far too often, they died. I have tried to populate my series with a collection of believable characters who sometimes do unbelievable things. Most of the unbelievable things really happened; I do a lot of research, and if I find a fascinating story or incident, I love to weave it into the fabric of my novel. The trick is to try to make it as seamless as possible. By now, for me, the fictional characters of Paul van Daan and his redoubtable wife, Anne, are so real, it is faintly surprising to look at the order of battle for Fuentes d’Onoro and find the 110th not there. Alongside the story of the regiment and the love story of Paul and Anne is the story of a friendship. 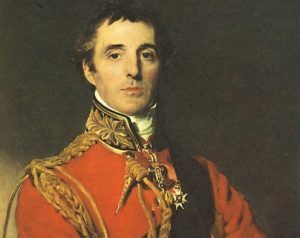 Arthur Wellesley, later Lord Wellington, is not known for having good relationships with all of his officers, and is often described as distant and difficult, but he had a few close friends, whom he valued, and Paul van Daan is one of them. The growing friendship between two men who are, in many ways, very different and yet also very similar, is possibly my favourite element of writing the books. Lord Wellington is a fantastic character to write; I’ve spent endless hours reading his letters and they bring him alive for me. There have been many novels set during the Peninsular War ever since Bernard Cornwell made it so popular with his fabulous Sharpe series. I’ve read a good few of them, before I decided to make my own foray into Portugal and Spain, and each author has a different take. My books are rooted very firmly in the army, and the battles it fought, but they give equal weight to characterisation and relationships and the daily life of the men and women who marched with Wellington. By the beginning of book 5, the fiery young lieutenant we first meet at the beginning of An Unconventional Officer has begun to settle down. He has risen to command a brigade of the elite light division, is on excellent terms with its commanding officer, Lieutenant-General Charles Alten, and is happy in his second marriage, with his children back in England being cared for by his family. He even has a dog. There is something very enjoyable in depicting Paul trying to deal with a young officer getting himself into trouble; it feels like karma. Paul has come a long way from the impetuous young officer who got himself court-martialled in An Unwilling Alliance, although in some ways he really hasn’t changed that much at all. History dictates the plots of my books, and in An Untrustworthy Army, history let me down. The famous Light Division, generally at the forefront of any action, got some time off. They were barely engaged at Salamanca and when Wellington marched on to invest Burgos, he left the Light Division in Madrid. If I stuck strictly to history, this would have been a very quiet book. Needless to say, I have cheated a little, allowing one of my new characters to temporarily join another regiment, to give at least a flavour of the battle, and sending my fictitious third brigade of the Light Division off to get themselves into trouble elsewhere. The end of 1812 was a miserable time for Wellington’s army, and both I and the stalwarts of the 110th infantry are relieved that it’s over, although not without some sadness. 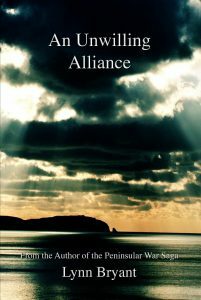 Book 6, An Unrelenting Enmity, will be published at the end of next year, and will spend some time in winter quarters, as well as following a group of the 110th on a dangerous mission to locate a missing British diplomat. The next book, however, will take a different direction. I’m going to be picking up the story of Captain Hugh Kelly RN, the Royal Navy and the Second Battalion of the 110th who have the misfortune to be bound for Walcheren. The working title is An Insalubrious Island, although that may change. Thanks to everybody who has been reading and enjoying my books. I hope you enjoy this one, and I look forward to taking Christmas off and then getting back to work in the New Year. The retreat from Burgos took place in torrential rain towards the end of 1812. It was a miserable end to a year which had seemed spectacularly successful for Wellington’s army. It may have appeared that the Allies had trudged back to the border with their tail between their legs but despite the anti-climatic end to 1812, Wellington established himself beyond all doubt in French minds as a general to be respected. During winter quarters his army rested and recovered and Wellington considered how to improve supplies, discipline and the overall health of his troops. By the start of the new campaigning season he was more than ready for a new advance into Spain with lessons learned and from that one, there would be no retreating. 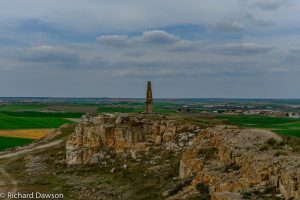 After the bloody storming of Ciudad Rodrigo and Badajoz earlier in the year, Wellington finally met Marshal Marmont on the field of Arapiles outside Salamanca and inflicted a crushing defeat. It was the culmination of weeks of manoeuvring and counter-manoeuvring and it seemed for a time that Wellington would decide not to give battle, but he was quick to spot a weakness in the French line and Marmont’s army was swept aside. Wellington’s army marched on to Madrid and King Joseph evacuated his capital, leaving the Anglo-Portuguese army to enter as liberators on 12th August. Joseph’s army retreated as far as Valencia. Wellington was hoping that a combination of weather, exhaustion, supply problems and the traditional squabbling and disharmony between leaders would keep the various sections of the French army apart. He relied on the Spanish to keep the French busy in the north while he laid siege to the castle of Burgos. Wellington was caught off guard by how quickly Clausel was able to rally the defeated French army. The French initially marched on Valladolid causing General Clinton to fall back and the Spanish to abandon the town. Wellington attempted to pursue Clausel but the French fled out of reach. With a wary eye on the various French armies, Wellington left General Hill to defend Madrid with three divisions while he set about reducing Burgos. Wellington had around 35,000 men and the siege began on 19th September. 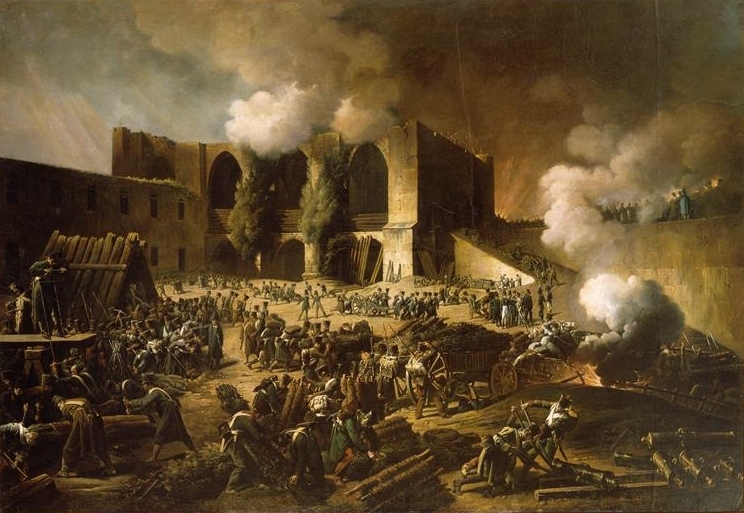 The defenders were commanded by General Dubreton and consisted of around 2,000 troops. Wellington, however, was seriously short of heavy guns; some historians believe he had only three 18 pounders while others assert that he had more locally captured cannon. He was also short of trained engineers and sappers, many of whom were either killed or wounded during the siege operations. On the evening of 19th September, Wellington ordered an attempt on the San Miguel hornwork, which guarded the fort’s northeast approach. It was a brave move considering the lack of artillery support but the Allies were able to capture the hornwork although they lost 421 men killed and wounded, to a loss of 138 killed and wounded on the French side. The Allies took 60 prisoners and 7 guns. Wellington’s engineers began digging in batteries on the hornwork hill. The first of these was finished on 22 September but possibly hoping for another quick success, Wellington ordered an attack on the same night before his guns had had a chance to fire. 400 men from his first and sixth divisions attacked the palisades with axes and then ladders but were easily repulsed to the loss of 150 killed and wounded. The engineers dug a mine under the fort’s west wall which was detonated in the early hours of 29th September. Once again a British advanced party attempted the breach, but received no support and were driven back. It was realised that the wall was an ancient structure and not part of the main French defences. Wellington set his engineers to dig a new mine and his troops to build a breaching battery but this was immediately destroyed by French artillery. The same thing happened the following day, with both guns and gun crews lost. On 2nd October, Wellington finally sent to Sir Home Popham for more guns to replace them but they were destined not to arrive in time to be of use. The second mine was fired on 4th October, blowing a gap in the north-west wall and killing a number of the defenders. 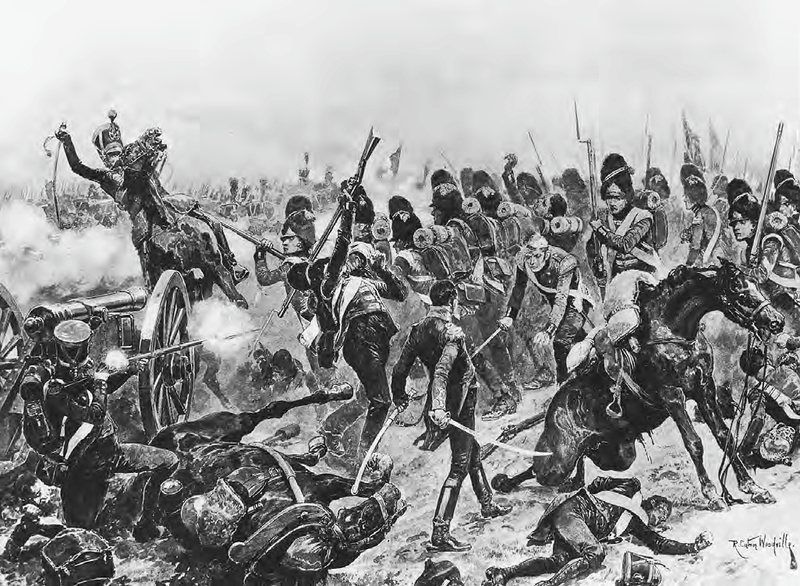 Wellington’s army attacked once more and managed to secure a tentative position in the outer defences but with the loss of 220 men killed and wounded. The Allied army set about digging a new trench against the inner defences but the French made a surprise attack on 5th October, killing and wounding more than 110 men and removing or destroying most of their equipment. The digging resumed on the following day but the French attacked again on the 8th and Wellington lost another 184 men. It had begun to rain heavily, flooding the trenches and the Allied guns were running out of ammunition. All the time, Wellington was receiving reports of the movements of the French armies and racing against the clock. Time ran out after another failed assault on 18th October. With another 170 casualties and nothing gained, Wellington was aware that the French army was approaching and he risked being overrun. Reluctantly he abandoned the siege and prepared to retreat, having gained nothing and lost 550 dead, 1550 wounded and three guns. 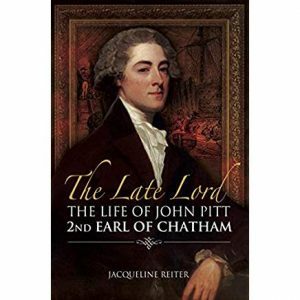 Marshal Soult had finally connected with King Joseph and had moved towards Madrid with around 61,000 men. In the north, General Souham’s Army of Portugal had around 53,000 men. Wellington had around 73,000 troops, around 35,000 at Burgos, 20,000 at Toledo under General Hill and another 18,000 under General Charles von Alten in Madrid. Wellington had instructed the Spanish general, Ballesteros to stop Soult’s move but Ballesteros was offended that Wellington had been offered the supreme command in Spain and refused to obey. No support came from the 8,000 Anglo-Sicilian troops under Maitland in Alicante on the east coast and Wellington was in a dangerous position, cut off from Hill. The River Tagus, which he had hoped would provide a barrier at this time of year was unusually low. The Allied army was in serious trouble. Wellington raised the siege on 21st October and slipped away, unnoticed by the French until the following day. Souham followed, and a series of small actions were fought between pursuers and pursued over the following week. 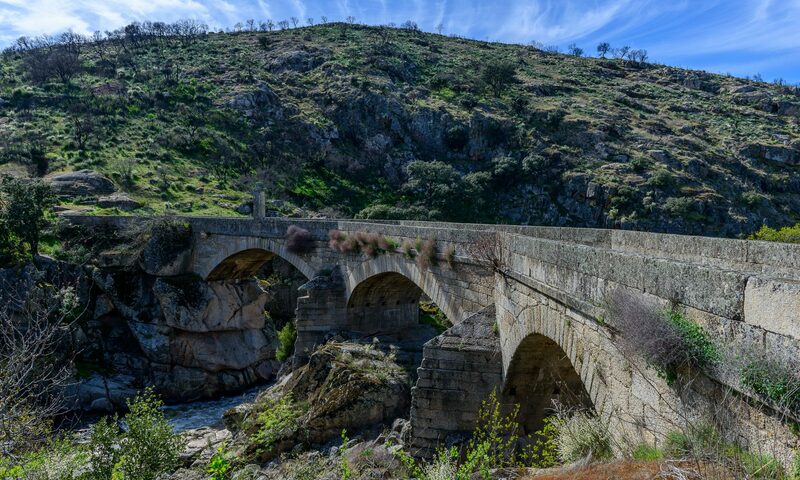 On 29th October, the French took the bridge at Tordesillas and Wellington needed to order a full retreat. He sent instructions to Hill to abandon Madrid and join him. After a skirmish with Soult’s advance guard on 30th, Hill withdrew to Alba de Tormes, and Joseph re-entered Madrid although he was so keen to destroy Wellington’s army that he left immediately without even leaving a garrison. Hill and Wellington joined up near Alba de Tormes on 8th November and on 15th found themselves facing 80,000 men under Soult across the old Salamanca battlefield. On this occasion Soult did not take the bait and Wellington began retreating west later that day. Supply arrangements for Wellington’s army went badly wrong. The competent quartermaster-general, Murray, had returned to England and his replacement, Willoughby Gordon, lacked his organisational talents and imperturbable efficiency. The Allied troops marched for four days in torrential rain with little or no food. Surprisingly, Soult sent only his cavalry after the Allies but the French took hundreds of prisoners among the stragglers and many men died of hunger or exposure. 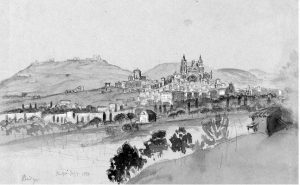 The Allied army reached Ciudad Rodrigo on 19th November with around 5,000 men missing. Wellington was back where he had started and it seemed for a time that some of the magic of his reputation had been lost. Wellington himself spent the winter concentrating on what had gone wrong and how it might be righted before the next campaigning season. He was furious at the breakdown of both logistics and discipline during the retreat and he was determined that it should not happen again. Historians differ about the reasons for some of Wellington’s actions during this campaign but most appear to agree that Wellington made a serious mistake in attempting the siege of Burgos without a proper siege train and enough guns, ammunition and equipment. He himself later suggested that he had made a mistake in leaving his three best and most experienced divisions around Madrid, but it seems doubtful that even the third, fourth and light divisions could have taken Burgos with the means and the time available. The fifth book in the Peninsular War Saga, An Untrustworthy Army, tells the story of the battle of Salamanca and the retreat from Madrid and Burgos from the perspective of Paul van Daan and the third brigade of the light division and is due for publication on 30th November on Kindle and at the end of the year in paperback.